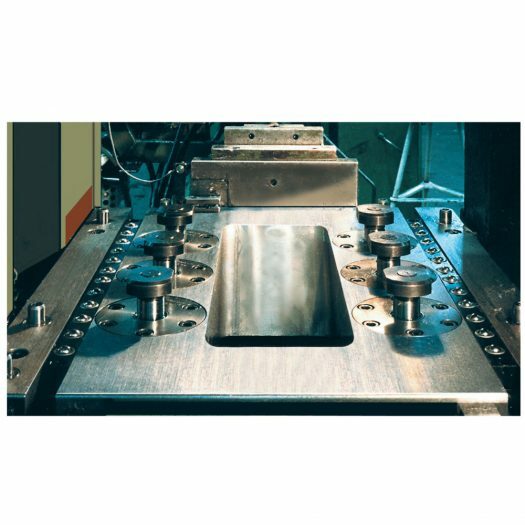 Double-acting pull clamping element for clamping dies on a press bed or press ram. The die must be provided with T-slots for the tie rod. It is important that the die is correctly pushed into the press, and is parallel with the clamping elements. 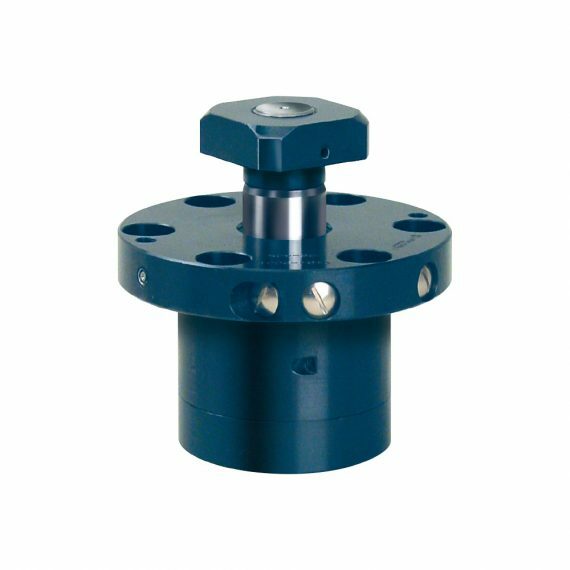 The clamping and unclamping positions are monitored by inductive proximity switches. The tie rod and the piston are hardened and ground, and the hydraulic system is protected against dirt by wiper rings. 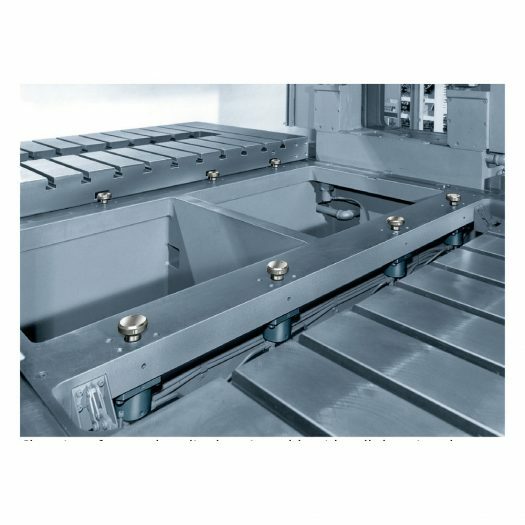 Pull clamping elements in the press bed of a double column press. Feeding of dies is ensured by ball bars in the T-slots of the pres bed.